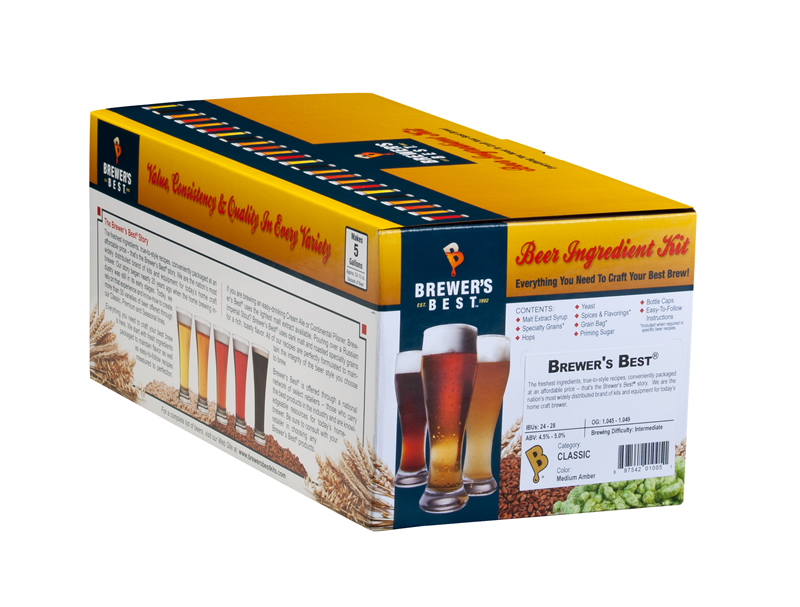 Brewer's Best brand of all-malt ingredient kits are designed for the beginner yet challenging enough for the intermediate brewer. Contains fermentables, priming sugar, yeast, brewing procedures, bottle caps, hops, specialty grains and grain bag(s). CLASSIC RECIPES - all recipes conform to AHA Style Guidelines and include all the ingredients with proven recipes to produce prize-winning brews. PREMIUM RECIPES - our premium recipe all-malt ingredient kits are big in taste and bold in flavor, not for the weak of heart! 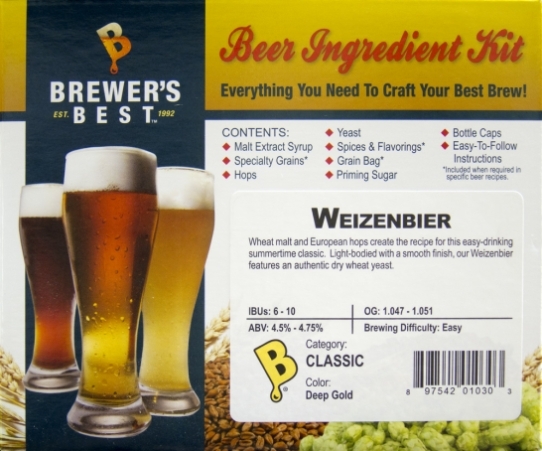 These higher alcohol kits come complete with all the ingredients and step-by-step instructions to brew 5 gallons of beer.